Does anybody have the key? Just one month after my Applicant Experience Day, I found myself again visiting the University of Hull. Announced just six days ago, this visit took was supposed to give all of Wilberforce’s advanced level students a crash course in revision and examination technique. The day had a less than auspicious start as it emerged that a rather high proportion of students had opted to boycott the event. 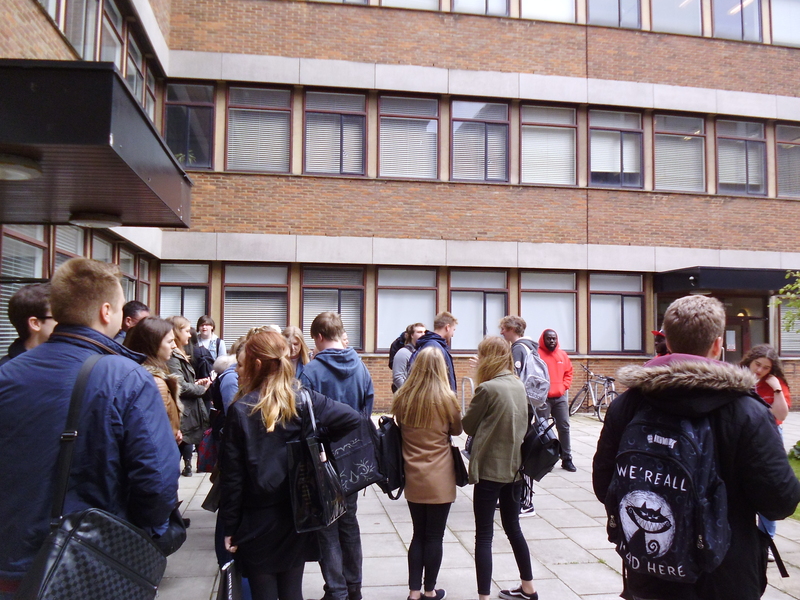 Whereas the college and the university had been expecting hundreds of students, only a few dozen actually turned up. Following a brisk ride in an unexpectedly spacious bus, we were ushered into a new conference hall to be presented with gift bags (including the 2018 prospectus, a branded paper pad and a non-functioning pen) and given an inspirational speech. Our first workshop focused on time management, with each of us making a tally of how many hours per week we spent on work, sleep, revision etc. In the second workshop we were taught about the different techniques for improving factual recall. This naturally involved being shown a long list of terms and challenged to remember all of them after a few minutes. The third session took us to a computer suite at which we made revision timetables to follow. As we had no student accounts on the university’s servers, each of us received a free memory stick on which to store the files. We returned to our original meeting point for the buffet lunch, which had been advertised to us in the automated email (perhaps in the desperate hope of enticing a few more visitors). There were no flapjacks this time, but the triangular sandwiches were as numerous as ever. When that had concluded we were, for reasons not entirely clear, taken on a tour of the Brynmor Jones Library, after which we were gathered for a few minutes in a small classroom and asked to fill out satisfaction surveys for future such visits. Had this excursion been undertaken months earlier we might have seen the merit of it, but by launching it at such short notice and after the Easter holiday the university probably stripped the event of most of its usefulness because at this stage most people had already devised all the revision routine they were going to follow and many, if anything, resented the trip taking some hours out of their actual revision time. 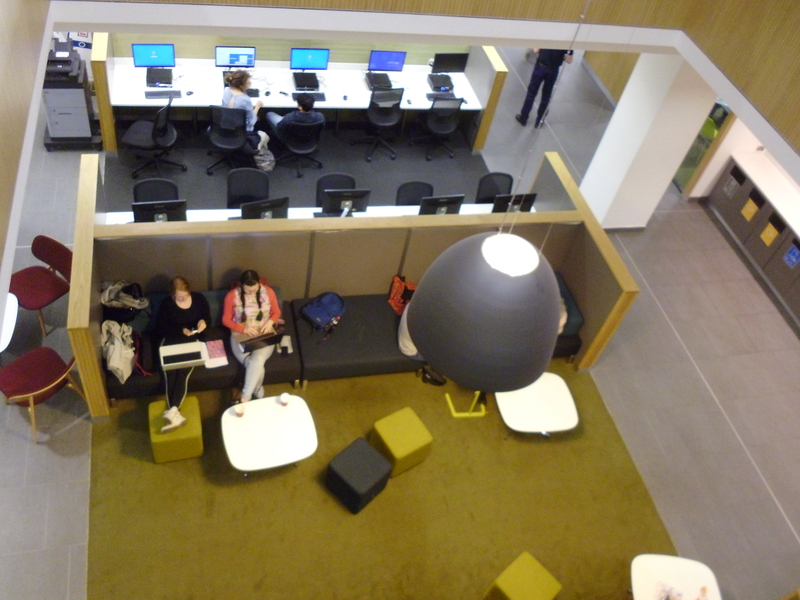 This entry was posted in Wilberforce and tagged universities, Wilberforce by Robin Stanley Taylor. Bookmark the permalink.